Scholium Group is pleased to announce that it has today posted copies of its Annual Report and Financial Statements for the period ended 31 March 2014 to its shareholders. A notice convening the Company’s Annual General Meeting (AGM) was included. The AGM will be held in the library of the Ham Yard Hotel (which was supplied by the Scholium Group’s Ultimate Library division) at One Ham Yard, London W1D 7DT on Thursday, 4 September 2014 at 9:30 a.m.
Shapero Rare Books was founded in 1979, is a dealer in rare and antiquarian books and works on paper. This includes maps of historic importance, vintage photographs and decorative and artistic prints. Mr Shapero is a well-known and established international dealer in rare books and maps. He developed his expertise from an initial focus on travel and illustrated books into a broad spectrum of rare and collectible works. South Kensington Books is the current trading name of a bookshop that has been operating from leasehold premises in Thurloe Street, South Kensington, London for several decades and which specialises in books valued at up to £150 in visual arts, architecture and photography. The Company announces that it was informed on 28 July 2014 that on 25 July 2014 Jasper Allen, Chairman, purchased 2,000 ordinary shares in the capital of the Company at a price of £0.80 per share. Following this purchase Jasper Allen is interested in 102,000 ordinary shares in the Company, representing approximately 0.75 per cent of the issued share capital of the Company. Ultimate Library, which operates from the same premises, creates bespoke libraries on behalf of luxury hotels and resorts, and high-end personal residences around the world. The Company is pleased to announce that 399,675 ordinary shares of £0.01 each in the capital of the Company have been issued pursuant to the exercise of options at an exercise price of 15.4p per share. Bernard Shapero and Pierre-Yves Guillemet, both senior managers of the group, have acquired 324,736 shares and 74,939 shares respectively. Application has been made for these new ordinary shares to be admitted to AIM and admission is expected to take place on 07 July 2014. The new Ordinary Shares will rank pari passu with the existing ordinary shares. Following allotment of the new ordinary shares, the Company will have in issue 13.6 million ordinary shares exactly. This figure may be used by shareholders as the denominator for the calculations by which they will determine if they are required to notify their interest in, or a change to their interest in, the share capital of the Company under the Disclosure and Transparency Rules. Scholium Group plc (“Scholium” or the “Company”) together with its subsidiaries (the “Group”) is pleased to present a preliminary statement summarising its annual report and financial statements for the year ended 31 March 2014. The Group is involved in the trading of rare and collectible goods. Shapero Rare Books, its main operating brand, trades in rare books and other works on paper from Mayfair and through international fine art fairs. The Group also retails art and literature from premises in South Kensington where it operates Ultimate Library, which provides bespoke libraries to hotels and private residences. The Company’s shares are admitted to trading on AIM, a market operated and regulated by the London Stock Exchange under stock (Symbol: SCHO). Commenting on the final results Philip Blackwell, Chief Executive of the Group, noted “We are very pleased to report a strong performance for 2014. Our business has grown materially on all fronts and culminated in admission to trading on AIM raising £8 million. I am delighted to present our maiden set of financial statements as a public company for the year ending 31 March 2014. It has been an eventful year for the Group. On the back of the strong performance of our principal operating subsidiary, Shapero Rare Books, we gained investor support to secure further funds for the business to facilitate future growth. This was achieved through a placing of new shares to raise £8 million and admission of the Company’s shares to trading on AIM. Revenue for the year amounted to £6.73 million (2013: £5.94 million) which delivered EBITDA1 of £0.61 million (2013: £0.33 million). · South Kensington Books, a bookshop specialising primarily in art, and its sister business, Ultimate Library, which creates bespoke libraries for luxury hotels and private residences. 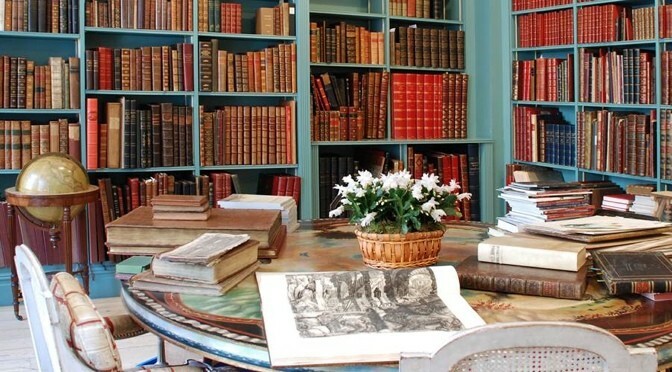 Shapero Rare Books is a Mayfair-based dealer in rare and antiquarian books and works on paper. It regularly exhibits at major international fairs and typically trades alongside other high-end art and collectibles dealers. We are particularly pleased with the performance of Shapero Rare Books over the year. It became clear to us, once the group had stabilised in early April 2013 that the business was undercapitalised and under stocked. When we sought a route to more permanent capital during the year, interim financing by way of a £273,000 working capital loan was made available by shareholders in September 2013. The resultant immediate increase in the stock and trade of Shapero Rare Books underpinned our confidence to raise further funds and formed the basis for our admission to trading on AIM in March 2014. Revenues in the year under review amounted to £6.08 million (2013: £5.38 million) and generated an EBITDA contribution of £0.56 million (2013: £ 0.27 million). Continued investment in stock by the business resulted in material growth in stock at the year end to £4.57 million (31 March 2013: £3.33 million). South Kensington Books and Ultimate Library made up approximately 10% of group turnover for the year (2013: 9%) and made a contribution of 9%. Whilst the business is smaller than Shapero Rare Books, it goes from strength to strength; with turnover during the year of £0.65 million (2013: £0.55 million) generating EBITDA of £0.05 million (2013: £0.03 million). 1 EBITDA is stated before depreciation, amortization, loan related costs, foreign exchange losses, exceptional share-based payments and IPO costs. As ever, our dedicated employees have contributed significantly to the development of the Group throughout the year and I would like to take this opportunity of thanking them again for their hard work and effort. Our new board has seen the appointment of Charles Sebag-Montefiore as senior independent non-executive and Simon Southwood as finance director. Both of them bring a wealth of experience and I look forward to their contribution. Since the year-end performance at both our Mayfair and South Kensington operations has been encouraging, with both businesses ahead of prior-year trading. In particular, Shapero Rare Books has been deploying capital and has made attractive acquisitions of new stock. The Scholium Trading proposition continues to be active in building its market presence in the community. The Group is advancing conversations with a number of dealers on material acquisitions/collections they are pursuing. Due to performance in the year, we are pleased to declare an interim dividend of 1 penny per ordinary share. Payment will be made on 25 July 2014 to shareholders on the Company’s register on 11 July 2014. This report provides an overview of our strategy and of our business model; gives a review of how the business has performed and of our financial position at the year-end; and sets out the principal risks to which the Group is exposed. In addition it comments on the future prospects of the business. Scholium group companies are involved primarily in the trading and retailing of books and other works on paper, as well as dealing in rare and collectible goods in the wider art market. · Scholium Trading, a company set up to trade in conjunction with other dealers in high value rare and collectible goods. • the sale of other rare and collectible items through Scholium Trading. · accelerate the growth of the South Kensington Books and Ultimate Library brands; the latter concomitant with the development of international hospitality groups and the demand for premium property in Central London. The directors intend to provide an attractive level of dividends to shareholders along with stable asset-backed growth driven by inefficiencies in the markets in which the Group operates. Shapero Rare Books trades in rare and antiquarian books and works on paper. It trades from premises in Mayfair, at international art fairs in London, Continental Europe and America and through its website www.shapero.com. The items for sale typically range in value from £100 up to £1.5 million. Shapero Rare Books particularly specialises in Natural History, travel and Russian materials. Recently it has started to develop its Modern Prints department. South Kensington Books is an independent bookshop operating from premises in Thurloe Street, South Kensington, serving its local professional community in the museums, Christie’s, the Lycée and the vibrant tourist and local resident community. Ultimate Library operates from the same premises and supplies bespoke libraries for private residences, luxury resorts and hotels on four continents. Scholium Trading is a new operation set up to trade in conjunction with dealers in high value rare and collectible goods. It seeks to build on our experience of acquiring items or collections either as principal or in consortia with dealers who are expert in their own subject area; and to extend this expertise to working with a wider range of dealers in related areas of the collectibles market. • develop Scholium Trading to be the ‘first call’ for high-end fine art and collectible dealers looking for partners to acquire and sell individual items or collections that exceed their immediate financial capacity. · various key risk indicators including capital resources, portfolio allocation and cash. We are pleased to report that the business has grown over the year. Revenue has increased 13.4% to £6.73 million (2013: £5.94 million) whilst the gross margin has increased from 39% to 41%. Much of this margin improvement was due to an increased level of commission sales in Shapero Rare Books. EBITDA for the period increased to £0.61 million (2013: £0.33 million), reflecting the operational gearing that the group enjoys. Shapero Rare Books has been, in large part, responsible for the increase in growth and profitability of the Group. Revenue for the year amounted to £6.1 million (2013: £5.4 million) which represented 90% of the overall revenues of the Group (2013: 91%). The Operational EBITDA of Shapero Rare Books exceeded our initial expectations for the year with exceptional purchases and sales in the latter part of the year. A strong final quarter was underpinned by sales at The European Fine Art Fair (TEFAF) and the success of our catalogue ’50 Fine Books’. The year has seen a marked increase in the stock holding of the group to £4.7 million (31 March 2013: £3.3 million). This increase in stock was largely in the last quarter of the year and was enabled by strong trading and a short-term loan from shareholders. In line with plan, we have continued to invest the proceeds of the listing to increase stock as a driver of future sales. We have been able to acquire some attractive new items as evidenced by the recent Natural History catalogue which carried books and prints valued at more than £4m at retail prices. The development of the prints side of the business has seen a strategic investment in modern prints through the acquisition of a portfolio by Andy Warhol. South Kensington Books enjoyed like-for-like sale growth of over 12% in last financial year and is trading to plan in the current year. The bookshop is not an inherently scalable business with just one location but it remains cash generative. Ultimate Library grew by over 50% in the year to March 2014 and has started the current year strongly with a number of new clients in London, Greece, Vietnam, the Caribbean and mainland China. As planned we are recruiting to meet demand. The library business works off the buying expertise of the South Kensington Books team. The new operation, Scholium Trading was set up to trade in conjunction with dealers in high value rare and collectible goods and began trading in the current financial year. It seeks to build on our previous experience of acquiring items or collections either as principal or in consortia with dealers who are expert in their own subject area; and to extend this expertise to working with a wider range of dealers in related areas of the collectibles market. We have been active in promoting the new business to our network of other dealers in the market and are looking at a number of interesting opportunities. As at 31 March 2014 our gross stock levels were £4.67 million (2013: £3.33 million) and gross assets were £14.44 million (2013: £5.04 million). The increase in stock levels is largely due to the Group’s policy of reinvestment in stock to drive turnover and return on capital. The increase in gross assets is largely due to the fundraising undertaken concomitant with admission of the Company’s shares to trading on AIM. Cash at 31 March 2014 was £7.58 million. In the current year we are investing the proceeds of the listing to plan. The Board has resolved to pay an interim dividend of 1 penny per ordinary share to shareholders on the register as at 11 July 2014 (ex-dividend date of 9 July). Payment will be made on 25 July 2014. By definition, rare and antiquarian books and other works on paper are rare. The availability of fresh stock of such items is often driven by major life events, such as inheritance, unrecovered debt, divorce or downsizing due to economic malaise. The continued growth of Shapero Rare Books’ business is reliant upon individual works and collections of works coming onto the market and upon the Group being able to access those business opportunities. Oftentimes, such sales are dealt with privately and discreetly, thereby meaning access to such dealflow is not guaranteed. A significant proportion of the Group’s sales are made at international trade fairs, and in particular The European Fine Art Fair. If this fair were to be discontinued it would have a material effect on the ability of the Group to sell goods. There are a limited number of stands at this and other international trade fairs and as a result places are highly sought after. Whilst there can be no certainty that the Group will continue to secure a place in the future, members of the Group have been exhibiting at these fairs for many years and, as such, have a well-established presence. The market in the books and other items in which the Group trades is competitive. In the market for antiquarian books and other items in which Shapero Rare Books trades, the Group faces various competitive pressures including from the major auctioneers, Sotheby’s, Christie’s and Bonham’s, as well as smaller auctioneers and a large number of dealers and smaller operators. The other parts of the Group’s business, including the business of South Kensington Books and Ultimate Library, also face various competitive pressures. While the directors believe that the art book market has been less impacted by e-readers and online retailers than the UK retail book market as a whole, the art book market is nonetheless highly competitive and the Group competes with large bookshop chains, smaller independent bookshops and large and small online retailers. The Group is likely to face continued and/or increased competition in the future both from established competitors and/or from new entrants to the market. The Group’s competitors include businesses with greater financial and other resources than the Group. Such competitors may be in a better position than the Group to compete for future business opportunities. If the Group is unable to compete effectively in any of the markets in which it operates, it could have a material adverse effect on the Group’s business, financial condition, and operating. In the case of high value items or collections, the Group will often acquire the items jointly with another bookseller and if not expressly provided for there is a risk that the Group will not be able to sell the entire asset without the agreement of all joint-owners. In this and other respects the Group relies on the honesty and integrity of other dealers. Whilst the Group takes care to deal only with established counterparties and experienced dealers who are well known to senior management and/or the directors, there can be no guarantee that co-owners will comply with the agreed terms (including, for example not charging the items) or that such co-owners will not enter into administration or other insolvency procedure, and in the event there is a loss of the co-owned goods it is not certain that the Group could claim under its insurance policy in relation thereto. The Group will trade in rare and collectible items, which may be highly illiquid. The value of goods acquired is difficult to assess and it may not be possible for management to sell the assets at or above the price for which they were acquired. The value of assets in the balance sheet may not represent the actual resale value achievable. Rare and collectible items are highly mobile goods. Furthermore such goods are frequently transported internationally for trade shows or other marketing opportunities. Whilst precautions are taken to ensure safe passage, the Group’s assets may be lost, damaged or stolen. While the Group carries specialist insurance, there is no guarantee that the Group’s insurance cover will be adequate in all circumstances. Assets of the Group will be placed with third parties for sale on commission. While the Group intends to take appropriate precautions when placing assets with third parties, there is a risk that these assets outside of the Group’s direct control may be stolen or replaced by unscrupulous third parties with fakes or forgeries. The directors of the Company will ensure that due diligence is undertaken on the authenticity of the assets acquired for sale. Nonetheless fakes and forgeries do exist in the market and the Group may acquire these believing them to be authentic. Further, the attribution of works to a particular writer or artist is not an exact science, and there can be no guarantee that assets of the Group will not have been mistakenly attributed in this way. Lack of authenticity is not covered by the Group’s insurance. Whilst the Group takes appropriate care when acquiring works which may be of material importance in the state of origin, there can be no guarantee that works acquired by the Group are not subject to restrictions on export or sale. The Group carries a specialist insurance policy under the Antiquarian Booksellers Association Insurance Scheme which covers each of the businesses. The directors believe that the Group carries appropriate insurance for a business of its size and nature but there can be no guarantee that the extent or value of the cover will be sufficient, in particular in relation to stock in transit or on consignment. The directors review the Group’s insurance arrangements on an annual basis and endeavour to insure its stock adequately, but there is no certainty that future claims will not fall within the exclusions under the policy or that the insurer will pay out any claim if made. Further, there can be no guarantee that the necessary insurance will be available to the Group in the future at an acceptable cost or at all. Like many of the established dealers in the market, the Group has a publicly accessible gallery in Mayfair, London from where Shapero Rare Books operates. In addition, the Group has a shop in South Kensington, London from where the South Kensington Books and Ultimate Library businesses operate. The directors believe that both locations are highly desirable and an important factor in the success of the business as a whole. However, both premises are leased and, unless extended, will terminate. Whilst discussions with the landlords have commenced, there can be no guarantee that the leases of either of the premises will be extended on terms acceptable to the Company or at all. In addition, the Group might incur dilapidation liabilities. (v) governing law and jurisdiction. In light of the foregoing, there can be no guarantee that the Group’s arrangements with its customers will not be terminated on short notice or that the Group will not at some future time face challenges or disputes in relation to the contractual or other arrangements with its clients. If the Group became involved in a contractual dispute and/or a third party was successful in any contractual dispute with the Group, any resultant loss of revenues or exposure to litigation costs or other claims could have a material adverse effect on the Group’s reputation, business, financial condition and/or operations or financial results. The Group is revising its standard terms of sale to seek to ensure that, going forward, the arrangements with clients, customers, dealers and others will include terms dealing with each of the aforementioned areas. The directors anticipate that the Group will conduct certain of its transactions other than in Pounds Sterling, the Company’s functional currency. As a result, movements in foreign exchange rates may impact the Group’s performance. The Group does not contract any hedging arrangements in respect of currency positions. o the Strategic Report includes a fair review of the development and performance of the business and the position of the Company and the undertakings included in the consolidation taken as a whole. These financial statements contain forward-looking statements with respect to the financial condition, results, operations and businesses of the Company. Although the Company believes that the expectations reflected in these forward-looking statements are reasonable, we can give no assurance that these expectations will prove to have been correct. Such statements and forecasts involve risk and uncertainty because they relate to events and depend upon circumstances that will occur in the future. There are a number of factors that could cause actual results or developments to differ materially from those expressed or implied by forward-looking statements and forecasts. Forward-looking statements and forecasts are based on the Directors’ current view and information known to them at the date of this statement. The Directors do not make any undertaking to update or revise any forward-looking statements, whether as a result of new information, future events or otherwise. There were no other recognised gains and losses in the year. The financial statements were approved by the Board of Directors and authorised for issue on 30 June 2014. Amount subscribed for shares at nominal value. Amount subscribed for share capital in excess of nominal value less attributable share-issue expenses. Amounts attributable to equity in respect of merged subsidiary undertakings. Cumulative loss of the Group attributable to equity shareholders. Scholium Group plc and its subsidiaries (together ‘the Group’) are engaged in the trading and retailing of rare and antiquarian books and works on paper primarily in the United Kingdom. The Company is a public company domiciled and incorporated in England and Wales (registered number 08833975). The address of its registered office 32 St George Street, London W1S 2EA. The Company was incorporated on 7 January 2014 for the purpose of becoming the new parent undertaking of the Group. The Company’s basis of preparation and accounting policies have not changed since admission of the Company’s shares to trading on AIM and as reflected in the Company’s AIM Admission Document. Operating profit and loss comprises revenues less operating costs. Operating costs comprise adjustments for changes in inventories, employee costs including share-based payments, amortisation, depreciation and impairment and other operating expenses. Expenditure is recognised in respect of goods and services received when supplied in accordance with contractual terms. Provision is made when an obligation exists for a future liability relating to a past event and where the amount of the obligation can be reasonably estimated. Exceptional items of expense are administrative costs which are large or unusual in nature and are not expected to recur on a regular basis. Of the total auditors’ remuneration for the year £4,350 has been charged directly to equity (2013: £nil). On 27 March 2014 the previous share option incentive scheme within the Group, based upon ordinary shares within Bookbank Limited was accelerated on listing and a new share-incentive scheme put in place. The options related to the previous scheme are vested and exercisable on the date of issue. The expense comprises a share-based payment expense of £338,000 (note 20) and the related national insurance liability of £47,000. On 28 March 2014 the Company was admitted to the AIM market and an associated placing of shares was made. The total costs were £1,029,000 of which £801,000 were attributed to share premium. Basic earnings per share amounts are calculated by dividing net (loss)/profit for the year or period attributable to ordinary equity holders of the parent by the weighted average number of ordinary shares outstanding during the year. Where the Group has incurred a loss in a year or period the diluted earnings per share is the same as the basic earnings per share as the loss has an anti-dilutive effect. The diluted loss per share for 2014 is therefore the same as the basic loss per share for the year and the diluted weighted average number of shares is the same as the basic weighted average number of shares. Basic earnings per share calculated on the full number of shares in issue are calculated by dividing net (loss)/profit for the year or period attributable to ordinary equity holders of the parent by number of shares in issue at 31 March 2014, amounting to 13,200,325 shares, to reflect the considerable number of new shares, including placing shares, issued in late March 2014. See also note 19. The Company has 1,455,675 potentially issuable shares all of which relate to the potential dilution from the Group’s share-options issued to the Directors and certain employees in the year (note 20). The investment is in Bookbank Limited and is valued at fair-value on 20 March 2014 based upon quoted prices as at the date of the Group reorganisation. This is a Level 2 valuation under the fair-value hierarchy. On 22 March 2014 the deferred consideration was satisfied in full by the issue of ordinary shares in the Company (notes 2 and 19). As at 31 March 2014, trade receivable of £4,000 (31 March 2013 and 31st March 2012 £nil) were considered past due and impaired. The other debtors’ balances are categorised as loans and receivables. All amounts shown under trade and other receivables are due for payment within one year. The directors consider the carrying value of trade and other payables approximate to their fair values. The directors’ and shareholders’ loans of £350,000 carry interest at 5 per cent per annum and are secured by floating charges over the company’s assets. Subsequent to 10th February 2013 this loan has been repayable on demand. During the six months ended 30th September 2013 additional loans of £273,000 were advanced to the company. This amount carries interest at 12 per cent per year and was repayable in eight equal instalments. By mutual agreement between the lenders and the company, repayments have been postponed, continuing to bear interest under the terms of the agreement. On 3rd March 2014, £90,000 was repaid to the lenders. Repayment of the remaining balance £183,000 was made after the year end. Deferred tax is calculated in full on temporary differences under the liability method using the tax rates expected for future periods of 20%. The deferred tax has arisen due to the availability of trading losses The Group has unutilised tax allowances of £258,000 at expected tax rates in future periods. The introduction of the new holding company constitutes a Group reconstruction and has been accounted for using merger accounting principles. Therefore the consolidated financial statements of Scholium Group plc are presented as if Scholium Group plc has always been the holding company for the Group and the share capital issued on this date treated as if issued in the earliest year presented. Accordingly, the results of the Group for the entire year ended 31 March 2014 and the results for the comparative year ended 31 March 2013 are also prepared on this basis. Share-issue costs of £801,000 have been deducted from the share premium in the year. A further £228,000 has been expensed (note 9). Scholium Group plc operates three equity-settled share based remuneration scheme for employees. The first is a replacement option scheme on behalf of B Shapero and P Guillemet, both senior managers of the Company. The share options issued under this scheme are fully vested on 27 March 2014, the date of issue. They have been valued at the intrinsic value of the options on the date of issue being the market price of the Company’s shares on admission to AIM of £1.00 and the share option prices of £0.154. These options are immediately exercisable. The second scheme (EMI performance scheme) and the third scheme combine a long term incentive scheme and an unapproved scheme for certain senior management and executive Directors. These schemes were put in place on 27 March 2014 but effective from 1 April 2014. The options held under these schemes are subject to performance conditions and vest, subject to annual performance criteria, over three years. Equity-settled share-based payments in respect of the second and third schemes are measured at fair value (excluding the effect of non-market-based vesting conditions) as determined through use of the Black-Scholes technique, at the date of grant. The fair value determined at the grant date of the equity-settled share-based payments is expensed on a straight-line basis over the vesting period, based on the Group and Company’s estimate of shares that will eventually vest and adjusted for the effect of non-market-based vesting conditions. There were no outstanding capital commitments at 31 March 2014 (31 March 2013: £nil). There are no significant post-balance sheet events. The financial information included in this statement does not constitute the Group’s statutory accounts (within the meaning of section 434 of the Companies Act 2006) for the years ended 31 March 2014 or 2013, but is derived from those accounts. Statutory accounts for 2013 have been delivered to the Registrar of Companies and those for 2014 will be delivered following the Company’s Annual General Meeting. The auditors have reported on those accounts; their reports were unqualified, did not draw attention to any matters by way of emphasis without qualifying their report and did not contain statements under s498(2) or (3) Companies Act 2006 or equivalent preceding legislation. The Annual General Meeting of Scholium Group plc will be held on 4 September 2014. Scholium, the holding company of a group of businesses involved primarily in trading and retailing fine art, rare and antiquarian books and other works on paper, is pleased to announce a trading update in respect of its financial year ended 31 March 2014 and a trading outlook for the current year. It has been an eventful year for the Group, culminating in admission to trading on AIM on 28 March and the successful raising of £8 million of new capital. The Group’s progress during the year has been encouraging and the Board anticipates that the performance of the underlying businesses will be comfortably ahead of market expectations for the year under review. The final quarter of the Group’s financial year is an important time for Shapero Rare Books, particularly with The European Fine Art Fair in Maastricht. Performance over the quarter saw a pleasing improvement in day-to-day trade, reducing the Group’s reliance on international fairs. In addition, the board notes that stock turn on larger-value items that are new to market is higher; and believes that access to capital will increasingly become a major differentiator in the Group’s ability to compete in the market and negotiate price. Trade at South Kensington Books has been brisk and Ultimate Library ended the year with a number of new contract wins, including Firmdale Hotels, Rosewood Hotels and new Aman Resort properties. The market’s response to the Scholium Trading proposition has been positive. Whilst no major acquisitions have yet been made, the process of educating dealers in the broader market for rare and collectible items to the advantages of trade alongside Scholium is progressing well. The year has started well across all businesses with demand for high quality books and collections from high net worth individuals and institutions continuing to be strong. The strengthened balance sheet provides the Group with a substantial capital base from which to invest in further growth opportunities identified by the Board to deliver attractive shareholder returns. Scholium expects to announce its full year results for the year ending 31 March 2014 in early July. Scholium Group, a dealer in rare and antiquarian books and other works on paper, has received notice that Jasper Allen (Chairman of the Company) and Charles Sebag-Montefiore (Non-executive director of the Company) subscribed at £1.00 per share for 100,000 and 10,000 new ordinary shares, respectively, in the Company’s initial public offering, which completed this morning. Accordingly, Messrs Allen and Sebag-Montefiore are now interested in 100,000 and 10,000 ordinary shares of the Company, representing 0.76% and 0.08% of the issued share capital, respectively. Bookbank Limited, the principal subsidiary of the Scholium Group, was established by Philip Blackwell in March 2009 in order to trade in books in affiliation with other dealers. Mr Blackwell had previously been the chief executive of Blackwell Limited, a distributor and retailer of new and antiquarian books. He was also a director of Blackwell Publishing (Holdings) Limited, an academic publishing business, until the sale of the latter for approximately £572 million in February 2007. In May 2011, Bookbank Limited also extended its activities into book retailing, through a staged acquisition of the business which now trades as South Kensington Books. More recently, in October 2011, it further extended its activities into bespoke library creation, through the acquisition of Ultimate Library Limited, whose business was combined with that of South Kensington Books. Shapero Rare Books, which was founded by its chief executive Bernard Shapero in 1979, is a dealer in rare and antiquarian books and works on paper, which includes maps of historic importance, vintage photographs and decorative and artistic prints. Mr Shapero is a well-known and established international dealer in rare books and maps. He developed his expertise from an initial focus on travel and illustrated books into a broad spectrum of rare and collectible works. Mr Shapero was joined at Shapero Rare Books in 2007 by Pierre-Yves Guillemet, an experienced Eastern European and Russian books dealer, who had previously worked at the fine art and collectibles auctioneer, Christie’s. Shapero Rare Books, which specialises in travel, natural history and Russian materials, has experience in acquiring large consignments of rare and historically important antiquarian books for sale to an international client base. The business has operated since 1996 from its current leasehold premises in St George Street, Mayfair, London. The Directors have identified the opportunity for a well-funded dealer to develop interests, in affiliation with highly regarded specialist dealers, in trading at the high value end of the rare and collectible goods market. Certain of the Directors and senior management of the Group have considerable experience in working alongside other dealers, in these markets. South Kensington Books is the current trading name of a bookshop which has been operating from leasehold premises in Thurloe Street, South Kensington, London for several decades. South Kensington Books, which specialises in books valued at up to £50 in visual arts, architecture and photography, caters to local professionals; visitors to the museums; Christie’s (South Kensington); interior designers; and affluent local residents. The bookshop has benefited from the recent pedestrianisation of the area. Ultimate Library, which operates from the same premises, creates bespoke libraries on behalf of luxury hotels and resorts, and high-end personal residences around the world. Its customers include Aman Resorts, Four Seasons Hotels and Resorts, Six Senses Resorts and Spas, and the Savoy Hotel. Scholium Group, a dealer in rare and antiquarian books and other works on paper, is pleased to announce the admission of its ordinary shares (“Ordinary Shares”) to trading on AIM (“Admission”) and commencement of dealings in its Ordinary Shares. Scholium is the holding company of a group of businesses involved primarily in the trading and retailing of rare and antiquarian books and works on paper to public institutions and collectors around the world. The Company raised £8 million via the placing of 8,000,000 ordinary shares (the “Placing”) at a placing price of 100 pence per share (the “Placing Price”). The total number of Ordinary Shares in issue at Admission is 13,200,235 giving Scholium a market capitalisation of approximately £13.2 million at the Placing Price. The net proceeds of the Placing will be used to increase the day-to-day trading stock of Shapero Rare Books; trade alongside other dealers in the wider rare and collectible goods market; and for general working capital purposes. The Ordinary Shares will trade under the ticker “SCHO” and the ISIN number is: GB00BJYS2173. WH Ireland is acting as Nominated Adviser and Whitman Howard is acting as broker to the Company. The Company’s directors (the “Directors”) estimate that the global market for fine art and collectibles is in excess of £5 billion per annum and the UK market for rare books amounts to in excess of £200 million per annum. In the year ended 31 March 2013, Shapero Rare Books generated revenue of approximately £5.38 million, comprising sales of approximately £5.23 million and commissions of approximately £0.15 million on trades on behalf of third parties of approximately £2.75 million. The average price of a book sold from own stock was approximately £6,100, with the highest value book sold for approximately £400,000. It is the Directors’ opinion that the performance of Shapero Rare Books is currently being constrained by the limited capital available to it. The Directors are confident that Shapero Rare Books is capable of increasing its stock and delivering a proportionate increase in sales of owned stock at a gross margin of approximately 37 per cent. Scholium has identified the opportunity for a well-funded dealer to develop interests, in affiliation with highly regarded specialist dealers, in trading at the high value end of the rare and collectible goods market. Certain of the Directors and senior management of the Scholium Group have considerable experience in working alongside other dealers, in these markets. Further information can also be found on the Company’s website at: www.scholiumgroup.com.